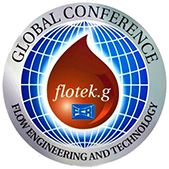 OBJECTIVES The course envisages to cater to the requirements of Technical personnel from Petroleum, Natural Gas, Petrochemical, Process and Manufacturing Industries for on the Job Training of Flow metering and Auxiliary measurement system for both liquid and Gas flow measurement. Awareness of accurate flow measurement and calibration methods & practices results in enhanced revenue generation, improvements in recoveries, accurate process control, improved quality of the end products, less disputes in custody transfer applications and overall improvement of the efficiency of the plant metering systems.The course is designed to provide direct hands on training in flow measurement and calibration. The participants will be given on the job training in the Liquid and air flow calibration facilities at FCRI. In addition, they will also be given training in calibration of secondary instruments for pressure, temperature, Density measurements and geometrical parameters in the respective labs. For Indians Working in India Rs. 25358 + GST @ 18% Rs. 4564/- = Total Rs. 29922/- per participant. For those working abroad US $ 1492 + GST @ 18% US $ 269 + Charge US $ 20 = Total US $ 1781 per participant.